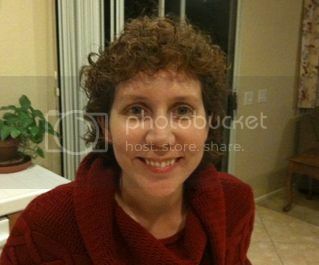 Savannah Chase » Blog Archive » Watch Out: Author Stephanie Burkhart? Savannah: I want to welcome you all to another edition of Watch Out. This week I’m pleased to bring you author Stephanie Burkhart. Welcome to Watch Out, it is so great to have you here. For the readers out there who might now know about you or your work, can you please tell them a little about yourself? Steph: Thanks so much for having me here today, Savannah. I was born and raised in Manchester, New Hampshire. When I was 18, I wanted a grand adventure so I joined the US Army. After training to become an MP (military police) I was sent to Germany. I spent over 7 years overseas and was stationed in the cities of Muenster, Fulda, Bad Hersfeld, and Hanau. I also deployed to Hungary in 1997 to support our mission in Bosnia. My husband and I met in the Army and were married in Nykobig, Denmark. Now, I’m settled in Castaic, CA just north of LA and work for LAPD as a 911 dispatcher. I write paranormal, contemporary, steampunk, and fantasy romance. I’m also a children’s author. My favorite football teams are the New England Patriots and USC. Savannah: Can you tell us a little about your latest release? 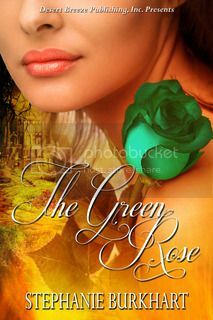 Steph: “The Green Rose” is a fantasy romance that takes place on the mythical continent of Gaia. The hero, Ivánstan, comes from Daháka and is bonded to his dragon, Draco. Sonia is the heroine. She’s bonded to her falcon, Hiro. When the evil mage, Balthyser attacks during a banner of peace, he kidnaps Sonia and Ivánstan’s fathers. His ransom? Sonia and Ivánstan must bring him the green rose, a harbinger of powerful magic. Sonia has trust issues, but finds herself attracted to Ivánstan. Will their attraction interfere with their quest for the rose? Savannah: What are you currently reading? Steph: Would you believe “The Titan’s Curse” by Rick Riodan. My son, Andrew, loves the Percy Jackson series so I’m reading the books with him. I’m also reading Pillars of the Earth by Ken Follett. It truly is a wonderfully human saga driven by love, lust, greed, and betrayal. I started in August 2011 and I only have 50 pages to go. On my Kindle, I just started “Wild Oats” by Margaret Tanner. I’m intrigued by the vintage time period of the book as well as its Australia setting. Savannah: What are you currently listening to? Savannah: Have you ever self-published a book or would you consider ever self-publishing? Steph: My earlier work in the early 2000’s was self-published with IUniverse, but I’ve since taken them down. I have a self-published title, “Across the Fickle Winds of History” available on Lulu under my pen name, SG Cardin. I took my titles down from IUniverse because times have changed in the self-publishing world. The addition of the KDP select program on Amazon and Smashwords has made it easier to bring your titles to the reading public. Self-publishing means you, the author, have final say on the marketing, the presentation, the cover, basically, the product as a whole. It’s very rewarding to do, but it’s so essential that you dot your “I’s” and cross your “T’s” so you offer the best product you possibility can. I’ll definitely self-publish again, it’s just a matter of time. I’m glad we’ve got Smashwords and KDP select now which are great options for readers. Savannah: Describe your book in 3 words. Savannah: As a reader, how much do reviews impact your view about a book you want to read? Steph: Not as much as you think. As a reader I’m attracted to the romance genre, but especially historical romance. I like contemporary as well, but I prefer international settings. I want the book to have a journey and a sense of adventure. That said, if I find myself “waffling” that’s when I go to the reviews. I look at the 1 or 2 stars first. Why? Because they usually reflect a certain amount of truth. For example, my book, The Hungarian, received a 1 star reviews because it wasn’t inspirational and had a love scene. That actually tells me a lot. As a reader, I want a love scene. Then I read the 4 and 5 star reviews. They’ll either get me to buy the book or not. Did that make sense? Savannah: What is a typical day like for you? Steph: Hectic! Get up, fed the boys breakfast spend about an hour on emails, take my youngest to summer enrichment camp, go hiking with my oldest, pick up my youngest, eat lunch and chauffer my boys to dance, gymnastics, and swim lessons. Then it’s workbooks for the boys, more emails for me. If I have a day off, I can work on marketing/social media stuff, typing, blog posts, etc. If I’m off to work, I write at work during my downtime on pen and paper. All of this is accomplished with a nip of chocolate, copious amounts of coffee and an occasional 5 hour energy drink. I get between 4-6 hours of sleep a night. Savannah: What do you think sets your stories apart from other authors? Steph: My sense of adventure. My military background fostered a love international settings and adventure, which you’ll find in most of my stories. Savannah: Any advice for new writers out there? Steph: Have patience. Today’s world is not only big on “instant gratification,” but becoming successful – critically and financially. That takes time. JK Rowling had patience to see her dream through. Steven King was rejected a few times. Have patience, perseverance, learn your craft, and don’t give up. Savannah: Where can readers find out more about you and your work? Was the rose reacting to him? His emotions? Seeking out Sonia and her feelings? Shaking off the rose’s influence, he went to the door and raised his hand to knock. He was a man, after all, and his patience couldn’t take much more. It was time he told Sonia exactly how he felt. The thought slammed into him and he paused, lowering his hand and resting his forehead against the door. By Xeres, he ached for her, he hungered for her, he needed her, but Sonia must come to him. A silent minute passed as he warred with his head and heart. Sonia had fought her attraction since the day they met. She needed encouragement. Straightening his shoulders, he raised his hand to knock again. Gentle tapping against the door broke the silence. It opened a fraction. “Ivan?” Sonia’s voice was soft, yet insistent. She walked into his room wearing a bathrobe over a thin chemise. The bathrobe was not tied and loosely hung over her curving figure. Her thick, chestnut hair glistened in the firelight. She smelled of lavender and violets. His muscles tensed as his manhood hardened. He cleared his throat, but held his ground. He held the rose by the stem and placed the soft petals next to her cheek. She closed her eyes briefly, inhaling its sweet scent. “It’s soft and warm,” she said. I don’t read much romantic fantasy, but this was so well structured and so lovely, I could not put it down. Stephanie Burkhart weaves a delightful blend of action, intrigue and adventure into her fantasy romance, The Green Rose. “The Green Rose” reaches the reader on an emotional level that rings very true and very sincere. I’ve read a lot of Ms. Burkhart’s books and this one is right up there at the top of my list. She nails the medieval time period and her characters are well-rounded and their conflicts are really well done. Fantasy lovers will devour this story, and for those who have yet to try a fantasy romance; this is a story that will draw you into the realm and have you searching for more. Even if you are not a reader of romance, fantasy, and action/adventure stories, Stephanie Burkhart’s incredible skill will keep you engaged and deeply interested. Give it a try; I recommend it. Like fantasy and magic? Then The Green Rose is a must for you. The Green Rose is available as an ebook only. Hi Stephanie. It’s great to meet you. I’m a fan of international settings too, although most books are international for NZers. I agree about the advice to have patience. It definitely worked for JK Rowling and Stephen King. Shelly, thanks for popping in. I loved the Lord of the Rings movies that were filmed in New Zealand. I love nature and I got a sense that New Zealand is gorgeous. I’d love to go sometime but my boys need to get a little older. I would definately read a book set in New Zealand. Can anyone recommend some good books set there? Stephanie, thank you so much for being my guest this week on Watch Out. It was a pleasure to interview you. Savannah thank you so much for having me. It’s a treat to be here this week. Great interview Savannah and Stephanie. And I LOVE that cover! 🙂 so catchy. True, patience pays. Cecilia, I really the covers that Desert Breeze makes. They’re very eye-catching. I think the cover really sums up the fantasy element along with the fact that this is a story that Sonia undertakes. Cora, I’m so glad you enjoyed the Budapest Moon Series. I’m working on Book 4 now and it should be to the editor by 1 OCT. Just recently Danube in Candlelight was a FINALIST in the 2012 Reader’s Favorite Contest and I was tickled to see it made it that far. Morgan and Adam will be back in book 4, but the story really is about Zoltan and Sophia. I love all stories with animals – especially dragons. Green Rose is definitely on my to read list. Thanks for sharing. Lynette, I had such a fun time writing The Green Rose and it really wrote itself. Sonia can be very decisive when she wants to be. She just has trust issues. Great interview, Steph. ‘Rumor Has It’ is my favorite Adele song too. Patience is definitely an essential trait for any author. Best of luck. Angela, Adele just rocks the house. I LOVE her to tears and I’m so glad she’s going to be a mum. She has a great voice and I’m glad she took the time to heal it. sounds like a great adventure. Good luck on your release. Hi Steph, I love the exerpt and I enjoy your international settings. Thanks Mona. I love a good international setting. I think it’s because of the “escapism” aspect for me. I love how your quest for adventure led you to join the Army and spend time in Germany. Your writing reflects that depth of experience. I love this excerpt of The Green Rose. And congratulations on your recent writing awards! Thanks Maggie. What I enjoyed about Germany was visiting all the castles. It was really like stepping back into time, especially in their rural landscape. Hi, Steph. It’s taken me a day to get here, but I wanted to stop by. I love the premise of The Green Rose. Good luck with it. Thanks Keena, it’s great to see you. WOOO, the Green Rose sounds like the Faberge Egg! Well, at least the color matches! LOL What a great post Steph – I need me some of that energy drink just reading your day.